Rory Fleck Byrne for #NUITmagazine. For more visit www.nuitmagazine.com. Photography by @andrea_vecchiato. Grooming by Dan at @thekingscanary. This week’s man-spiration comes in the form of the 50's teddy boy goes out in modern day Fitzrovia. The haircut needs a longer length but is relatively easy to style in the morning with the right kind of product. Ideally hair should be about 1 to 2 inches at the front and depending on how extreme you want to take this look you can take it as short as you want at the sides. To create a basic quiff, grab the hair over the forehead and comb back - the look you initially want to create looks something similar to a duck’s rear. Then emulsify the styling product by rubbing between your palms before you apply to this part of the hair. Finish by combing the sides of the hair up, grab a blob of styling gel and massage onto the palms before running the up the sides of the head so that the hair stands up. What’s in Denisia’s Beauty Cupboard? What product do you use to brighten up party-tired skin? - I always use a hydrating mask followed by a brightening serum and spritz on as much thermal water as I possibly can. Can you predict any key hair and beauty trends for the coming season? Judging by what I've seen on the catwalk at Fashion Week last September, hair and makeup are getting simpler, more natural. The focus is now on amazing looking skin and healthy locks. What Shampoo and Conditioner do you use and why? I use a rather gentle moisturising shampoo, nothing that would strip my scalp of its natural oils, and follow with a lightweight conditioner. Also, because I have very fine hair I use a little bit of dry shampoo every day to add some texture to it. What is your secret weapon when it comes to heat styling tools? Minimize the damage. My hair is poker straight and I much prefer it wavy or curly so I use a curling wand every other day. When possible, I leave my hair to dry naturally, never use the styling tools on highest power and always apply a thermal protection spray. Do you do any weekly treatments on your hair/skin and if so what and why? - On my hair I apply a homemade mask made from two egg yolks and essential oils. I do this every week and leave it on for at least two, three hours. When it comes to facial treatments I adapt my routine according to how my skin looks and feels that week. If I'm dealing with a breakout, anything with salicylic acid in it would do wonders. If I have dry patches I'll use something very moisturizing and so on. In London town this weekend. Inspired by London and decided by the team at The King's Canary - we are bringing to the table the best places to eat, drink and get cultured. A stone’s throw away from the (almost open) second salon The Canary is L'eau a la bouche, the brunch spot to bag a table this weekend. The deli-market goods and rustic,lively atmosphere add to the charm of this place. What’s more is everything is fresh and homemade and they have a good selection of French/European imported food and products. If you have ever tried to buy these steamed buns at a supermarket or attempted to make them yourself then you know you might as well not bother and instead head to BAO for your Taiwanese foodie fix. The BAO bun has transformed from popular street food to a snug and cosy date night spot. Nestled in the heart of Soho means it’s a great pit stop before hitting the bars near by. This secret spot most Londoners don’t want you to find out about is a must for any dark spirited connoisseur. Not immediately obvious at street level so look out for the vintage ‘Optician’ sign for the blindfolded hog doorknocker and you’re in. Head here for an array of vintage cocktails and food pairings -yes they actually pair your food to your cocktail. To celebrate its anniversary, London’s Saatchi Gallery is staging its first all-women exhibition. The interestingly titled ‘Champagne Life’ has little to do with champagne and is in fact reference to a 2014 piece by one of the participating artists, the American Julia Wachtel, which intersperses an upside down and repeated image of Kim and Kayne with a right-ways-up, blue plastic, finger-wagging Minnie Mouse. This exhibition is worth seeing if only to experience some of the most striking works by contemporary female artists. Look out for; Alice Anderson’s enormous cotton reel (Bound), and ball (181 Kilometers); to Stephanie Quayle’s Two Cows – two life-sized brown cows, made from clay and chicken wire; and Sohelia Sokhanvari’s Moje Sabz, a taxidermied horse straddling a giant, deflating balloon. This gentleman's cocktail is the antidote to blue monday. 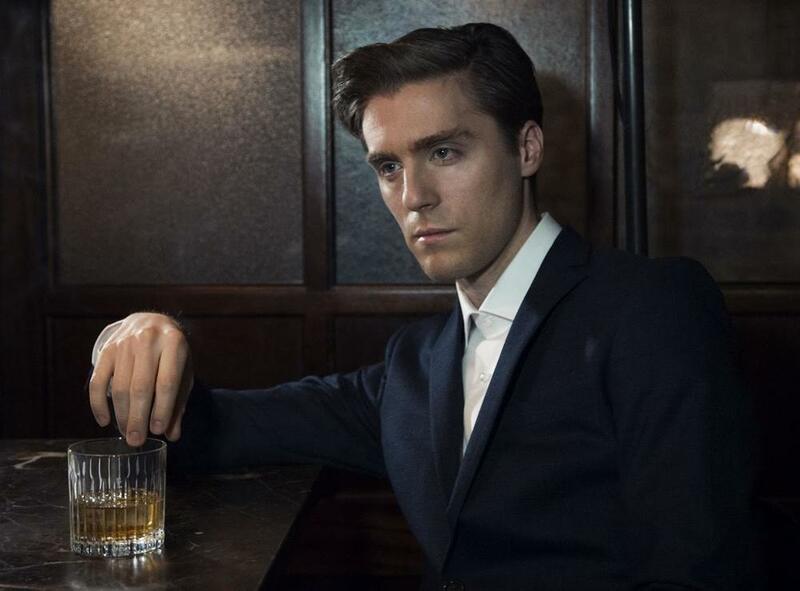 Poldark and Riot Club actor Jack Farthing for @nuitmagazine. As London Men’s fashion week finishes and Milan Men’s fashion week begins, we decided it apt to catch up with some of the finest shoots and hair styles Dan - the owner and stylist of The King’s Canary has worked on. This is brightening up our week! With some of the world's most exciting artists preparing to bring neons, projections and performances to our favourite city- London. Get involved and see London from a different perspective at 6.30pm to 10.30pm from the 14th to 17th of January. One of our passions as a creative salon based in London is the local art and culture scene. We love the fact this london wide experiential exhibition shows the possibility of light and how it can transform our urban environment. We can’t wait to see iconic architecture transformed with 3D projections, interactive installations and other extraordinary light works. In perspective of the opening of the second salon 'The Canary' at 61-63 Old Bethnal green road, London E2 6QA we will be getting involved in all this Lumiere London action by lighting up our corner of East London with our classic Canary logos. The strengthening Coconut Oil helps combat dryness and damage, and prevents breakage. It acts as a natural barrier for hair to protect and strengthen so hair can grow long and healthy. This quick DIY hair mist will add shine to your hair and moisture throughout the day. Lavender Oil – will not only make your hair smell good but also help in treating dandruff, dry and itchy scalp. Take a spray bottle and add in 2 tablespoon of melted coconut oil. Add 3 drops of lander oil along with 1 cup of filtered water. Shake well each time your use it and mist it all over your hair. You can use the spray on dry or soon after shower, when your hair is slightly damp. Evo® ambassador style no. 1 – the man quiff – if you’re after the classic ‘lumberjack biker picking daisies in a meadow in 1943’ look, then this is the one for you. courtesy of our scissor wizard and style sorcerer jules tognini from Aus -AKA Tognis. Find the full video HERE. Take 4-5 tbsp. of fresh aloe Vera gel, 3 tbsp. of coconut oil and mix it with 2 tbsp. of honey. Mix everything well and apply this on your hair in root to tip direction. This is a hydrating hair mask and if your hairs are dull and dry then this will nourish them deeply. Keep this mask for 20-25 minutes and then wash off using your regular shampoo. Botanical remedies tap into the wisdom of Ayurveda (the ancient healing art of India). It’s easy, cost effective and quick to create an aloe vera recipe from this ancient technique. You can apply this natural ingredient to cleanse, nourish and protect your hair from damage, so grab some Aloe Vera, coconut oil and honey for a dry hair mask to create hydrated, healthy hair. You can also use aloe vera on hair for many other purposes, like getting rid of dandruff, itchy scalp, dry hair, bacterial and fungal infections. Your first step to successful co-washing is to switch to a sulfate-free shampoo on the days you are using one. Sulfates are powerful degreasers that will literally strip the oil from your hair. These are the water soluble silicones. If you conditioner contains these, you’re good to go! Thirdly work out what works for you… it is totally a personal preference. If keep to your current regimen, just eliminate the shampoo step every other time. So if you normally wash your hair once a week, keep washing your hair once a week. End goal: something between squeaky-clean and second-day hair—that is, smoother, softer, and easier to manage. Hanah at our local gallery 'Tj Boulting and Trolley books' brought this book over to the Salon this week and everyone has been hooked! 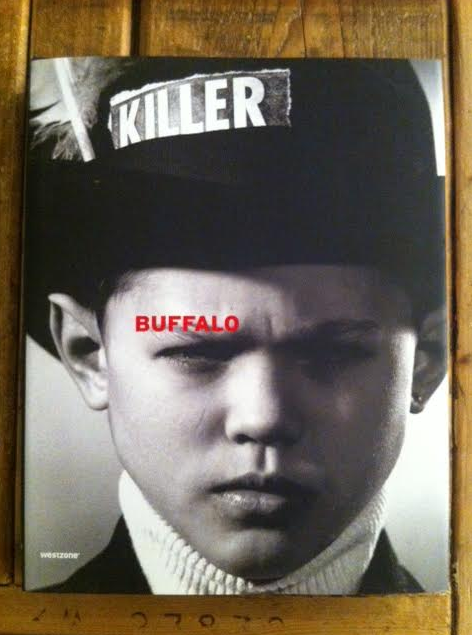 Buffalo could be considered one of the finest style crazes and sub cultures to have emerged from the London. The juxtposition between pairing sportswear with a statement piece of designer garb from the likes of Armani became the signature style of the day. "Buffalo quietly defined the look of 80s youth culture, especially in the UK, and this legacy of an uncompromisingly urban style has since inspired legions of designers, stylists, and photographers who were part of the gang, but who absorbed and understood the images and references and made them their own in cities the world over. From the simple combo of the ubiquitous MA-1 flight jacket and an old pair of Levi's (Ray's own uniform), to the rarified clothing produced by cutting-edge designers, Petri's legacy of style—and the Buffalo stance—is still alive and making its presence felt on the biggest catwalk of them all: the street." This 1930s New Orleans recipe is named after the city’s French Quarter—it’s a potent but smooth cocktail, just like the Crescent City. Ahead of the recent launch of the film Legend about The Kray's brothers and their wicked ways Stanley from our team got his hands on one of the casts barnet. Raise your glasses for Mel Raido who starred as Glasgow gangster Ian Barrie and put up with Hardy's method acting. Start by cleaning your hair with Evo's top range of shampoo's. We suggest 'Normal Persons' or 'The Therapist' - depending on how sensitive you're feeling. Give the top of your barnet a lift upwards and shake your hair into all angles until you start to look handsomely dishevelled. Evo steps outside the normal realm of truth-stretching invention, to help y'all think a little and look good, all at the same time. Evo ... sweet revenge against an industry of over-inflated truths. This is our essential weapon against damaged winter hair, this moisture mask is an intense hydrating treatment to moisturise and smooth dry, frizzy, colour-treated hair. Some of our latest images kindly sent over by Andrea Vecchiato from NuitMagazine Last Saturday we saw Nuit Magazine use the busy shop space to squeeze in a little shoot. Here you see Justin Barco being shot by Dudley O'Shaughnessy. Look out for more pics soon and be sure to sign up to Nuit Magazine for more updates. Hair by Stanley Watts. To all of our loyal clients, friends and family... We wish you a Happy New Year and hope you will join us in celebrating the start of 2015. We can only wish for another year as jam packed and as fun as 2014 was for us. With special thanks to all that made this year what it was. Here a few of our favourite shots of our year. For your viewing pleasure... We start with our Full Moon of bottle tops from Robson Cezar Gavin celebrates a Milestone Birthday with a bang. Stanley works with the Reiss team to create the look book for Autumn/Winter 2014. We celebrated our first year Birthday back in June, and what a party that was!! Thomas Taw being interview by the guys from Bangkok back in June. In July we saw the 2nd issue Launch of The Fitzrovia Journal at the Rebecca Hossack gallery. A top night hosted by Kirk Truman. A merry Gavin and Stanley heading off into Fitzrovia after the party. A little restyle from long to short for our overseas blogger @lefreakeschic, all the way from Chile. Our PopUp Canary at the Redbull Studio for London Cocktail Week. Gavin working his magic at Redbull Studio. Luigi Inglese having fun whilst working a little undercut on our girl Vicki Johnson. Our first advert goes onto the back cover of the 3rd edition of The Fitzrovia Journal and the launch party was in full swing. Another class evening for Fitzrovia and also for us at The King's Canary. December. The calm before the storm. Gavin and Claire embark on some creative colouring-in and some knitting just before the run up to Christmas mayhem. A great photo with so much colour going on. Walt Disney and the Taliban also star in the same photo. And finally A Merry Christmas was had by all. Our first tree, with some branded decorations from Gavin. Happy New Year and here is to a great 2015. This is Zhen our client of the month as immortalised by Caroline A.K.A Naomi (our in house artist) and styled by Gav. Whose next? It could be you!! Ladies and gents, wishing you a massive warm welcome back from the British summer. We have had a busy few months of summer, not only here in Fitzrovia but the team have had lots of exciting projects keeping us busy. Just to throw a few accolades out there, here are a few shots to showcase some of the work that the summer and London Fashion Week 2014 has given us. As seen below the Autumn/Winter lookbook for Reiss was styled by Stanley Watts and the full collection is now available on the Reiss website. Robyn Rowan has been very busy shooting, firstly The McDonald's official World Cup sponsor video teasers, added to that she styled the hair for the new Asos campaign, the Chase and Status new video, Radley handbags collection, House Of Sunny new collection, and finally she has just worked with Pixie Lott for her new video. We also have good feedback from various publications giving a 'Big Shout' to Mel and Luigi for getting the models ready for the catwalk at London Fashion Week. So as you see The King's Canary also comes in the form of a very busy bee. We hope you like the like the shots and we hope to see you in the salon very soon.